With its incredible landscape, ancient temples, abundant wild animals and ample seafood, Sri Lanka has been on the radar of adventurous travellers for some time. Here, the team from luxury travel company Jacada Travel provides a few reasons why 2017 is the perfect year to visit this South Asian gem. Hawksbill, loggerhead, leatherback, olive ridley and green turtles nest in the waters around Sri Lanka, coming ashore to lay their eggs. To watch baby turtles hatch and flip-flop down the beach to the sea, pay a visit to the Kosgoda Sea Turtle Conservation Project, about an hour from Galle. You can offer a donation to make the experience really count. 2017 marks the 150th year since the first tea bush was planted in Sri Lanka; today, the country is the fourth largest producer of tea. The tea country is a landscape of undulating green fields in which pickers deftly harvest leaves, tossing them into sacks hanging from the crowns of their heads. Learn about the tea industry while enjoying the fresh, highland air and beautiful scenery, staying at a countryside resort such as Thotalagala. SAMPLE JACADA ITINERARY: Discovery Tour of the History of Sri Lanka’s Ceylon Tea Travellers will retrace the steps of the first British tea planters who visited Ceylon, from the moment their ships landed at Colombo’s port 150 years ago to the train ride they took into the island’s spectacular hill country. Wildlife sanctuary Yala National Park is well known for its variety of animals, including an elephant population of around 350, and one of the highest leopard densities in the world. A three-day safari in Yala will usually result in leopard sightings; head out between March and October for the best chance of spotting them. Being an island nation surrounded by rich waters, seafood is a highlight of Sri Lankan cuisine, and Colombo, the capital, is the perfect place to sample it. Dig into fresh, straight-off-the-boat produce at Ministry of Crab, listed in The World’s 50 Best Restaurants this year. At Seafood Cove in the Mount Lavinia Hotel, you can try jumbo prawns, squid, cuttlefish and lobster cooked any way you want it, with your toes in the sand at your table on the beach. Another perk of visiting a country surrounded by water is seeing marine mammals in the wild. In Sri Lanka, you can watch spinner dolphins frolic off Kalpitiya and spot the world’s largest animal, the blue whale, at Mirissa. Whale-watching season runs from November to April. Sri Lanka has no shortage of beautiful beaches, whether you’re seeking solitude, a party, surfing or snorkelling. The west and south coasts have the best beaches in the country, with golden sand, coral reefs and palm trees. Spot the renowned “stilt fishermen” perched over the water and watch the daily fish haul being dragged in. Galle is the main town in this area, a walled, colonial city with a melting pot of heritage including Dutch, Portuguese and British influences. SAMPLE JACADA ITINERARY: Sri Lanka by Seaplane & Private Yacht Travel around the country in style, with a seaplane to the tea country from Colombo, a chartered seaplane to Yala for game drives, and a three-night cruise around the South, including fishing in Talalla, Mirissa and Galle Bay. Sri Lanka has a long and varied history: centuries of monarchy, then a colony of Portugal, Holland and England, and, after independence, a long civil war that lasted until less than a decade ago. 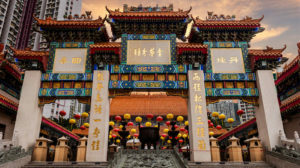 The result is a melting pot of cultures, cuisines and heritage, particularly in the coastal cities where grand, colonial administration buildings are juxtaposed with ancient, ornate temples. 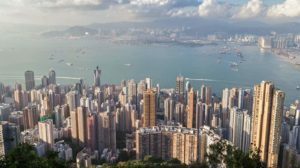 Jacada Travel has expert travel designers in its offices in Hong Kong, London, Cape Town and Santiago who create bespoke itineraries with first-hand insider info. Contact Joyce in the HK office (joyce@jacadatravel.com) to plan your Sri Lanka trip. Jacada offsets 100 percent of carbon emissions from its trips.